Welcome to Pinches and Crimps! We are two friends from Norway who love climbing, travelling and exploring the world. 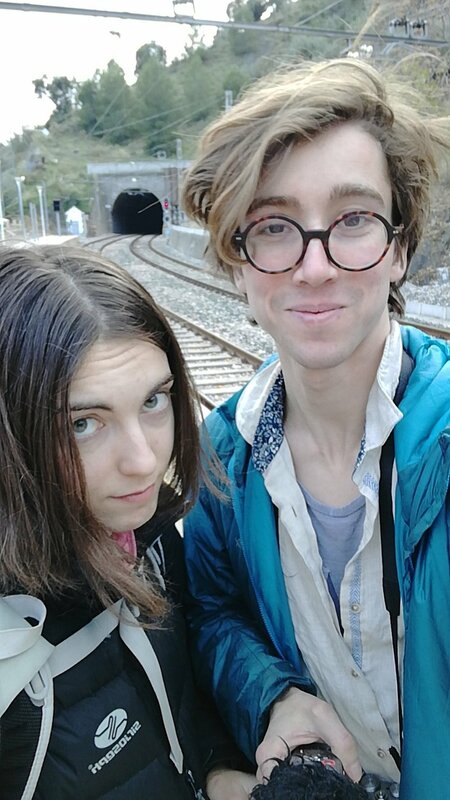 Marie (Pinches) and Sjur (Crimps) have known each other since fall 2014, and we've been training and travelling together ever since. We work as coaches for the youth climbing team in Bergen when we're not travelling, and attend the occasional rock climbing competition. Marie is a self-proclaimed rock climbing addict. You can find her in the gym or outdoors on the cliffs most days of the week. She prefers bouldering, but is known to go rope climbing whenever the opportunity rises. When she's not climbing on something, she likes books, yoga, video games, tabletop RPG's, painting and going for long walks. Sjur usually has a hard time sitting still, and goes climbing whenever he can. He's been climbing since 2012, and prefers roped climbing to wrestling with big (small) rocks. Sjur also enjoys tabletop games, making apps and going for long walks in the mountains.